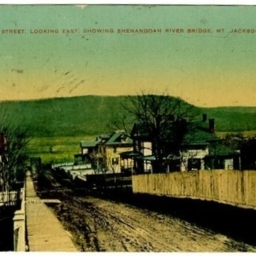 Postcard showing a portion of Mt. Jackson Virginia along "B" street looking east. 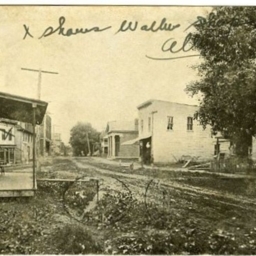 Postcard showing a picture of Main Street in Mt. Jackson Virginia looking north. Main Street, Mt. 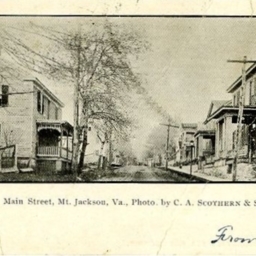 Jackson, Va.
Postcard showing an image of downtown Mt. Jackson Virginia. 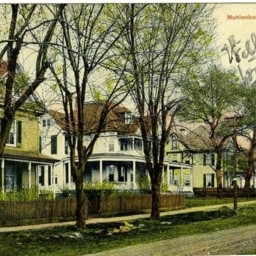 Color postcard with a picture of homes on (south) Muhlenberg Street.